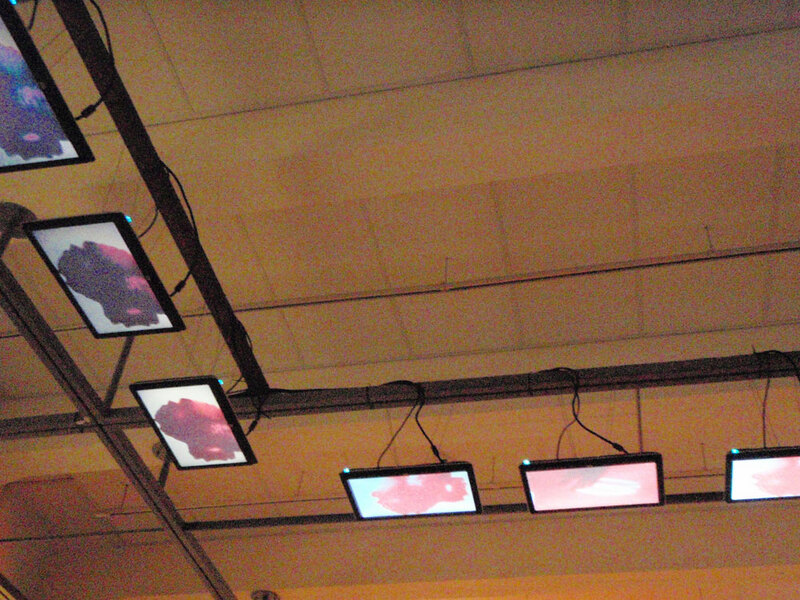 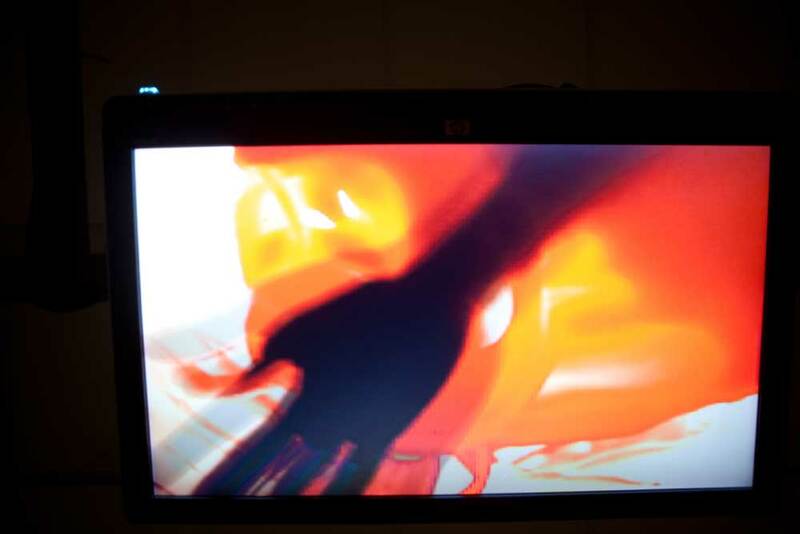 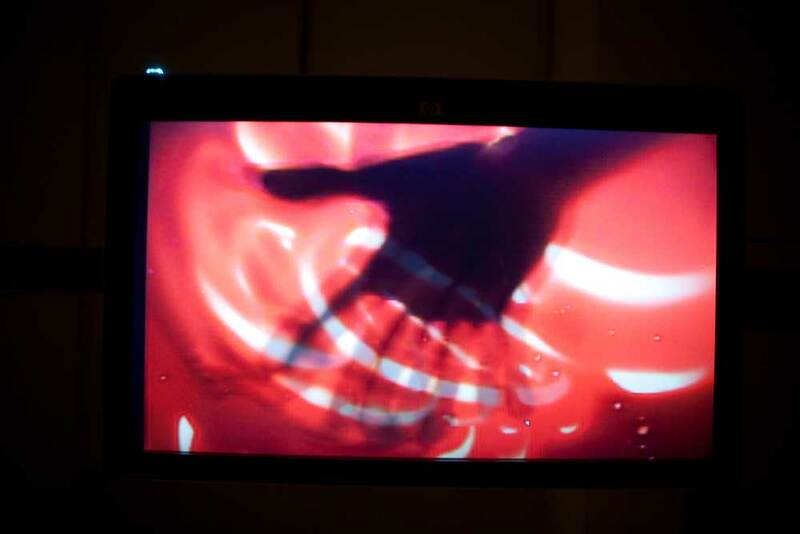 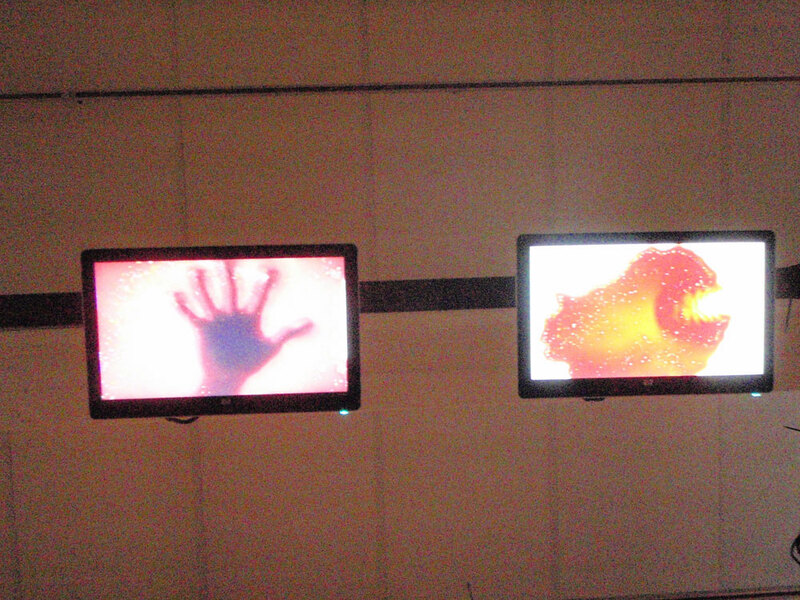 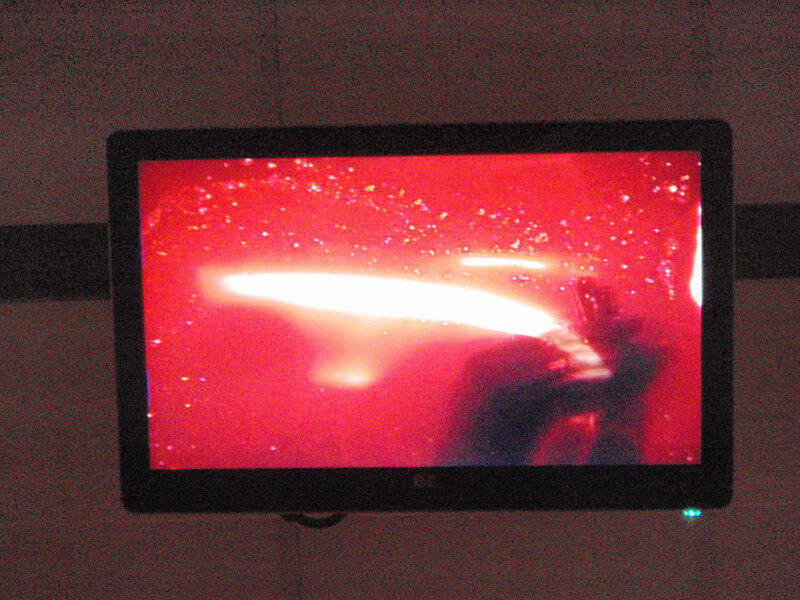 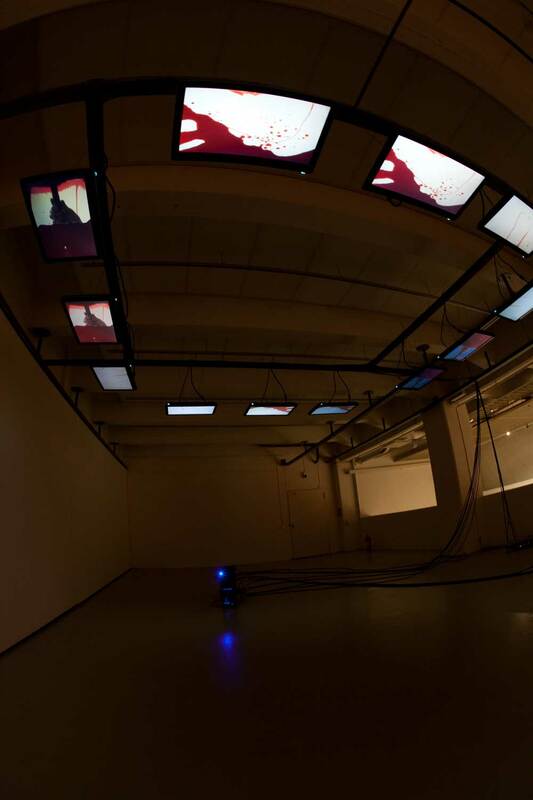 Bloodbath is a twelve screen video installation controlled with Max/MSP/Jitter. 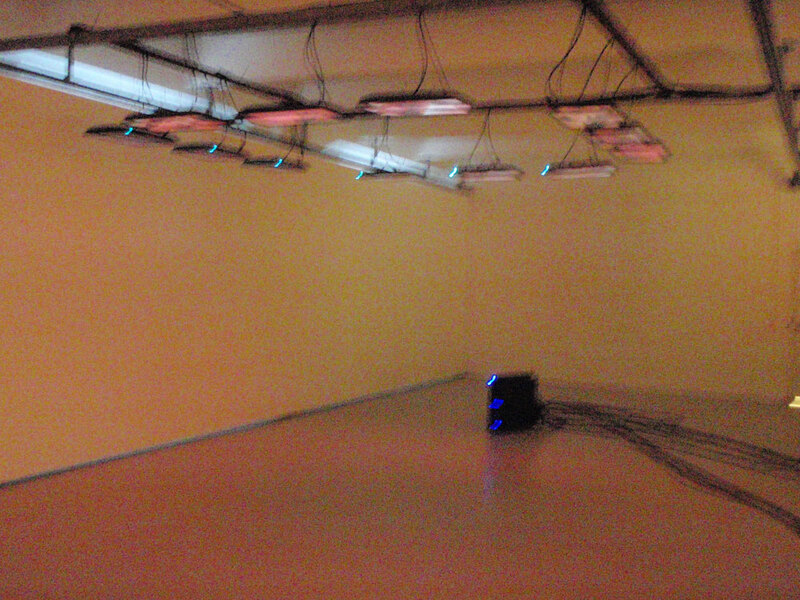 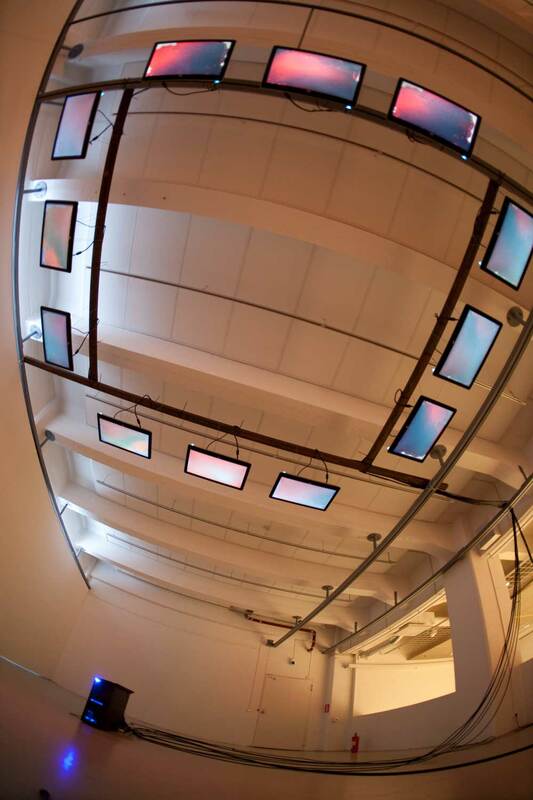 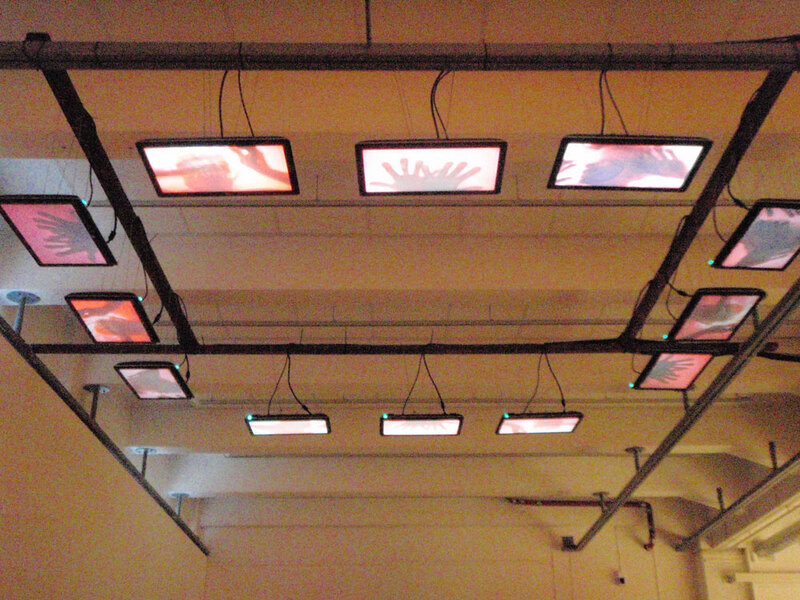 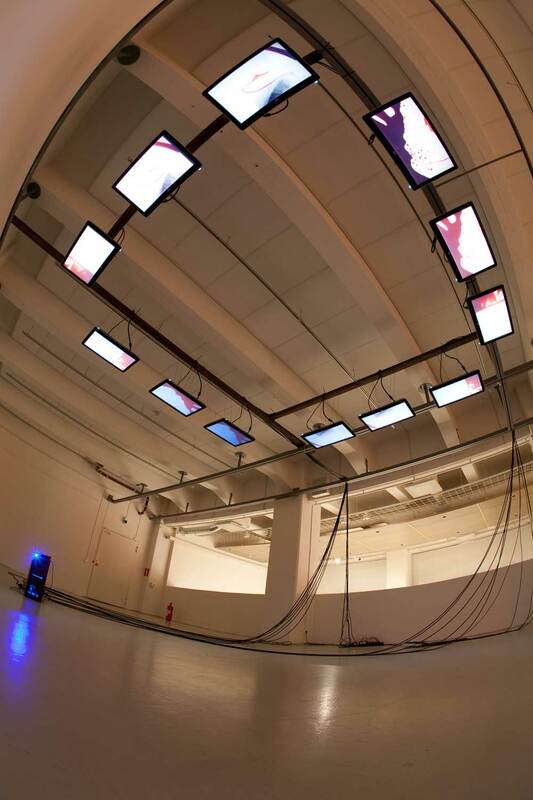 The video screens are hung horizontally such that the viewer must walk beneath them to view the images. 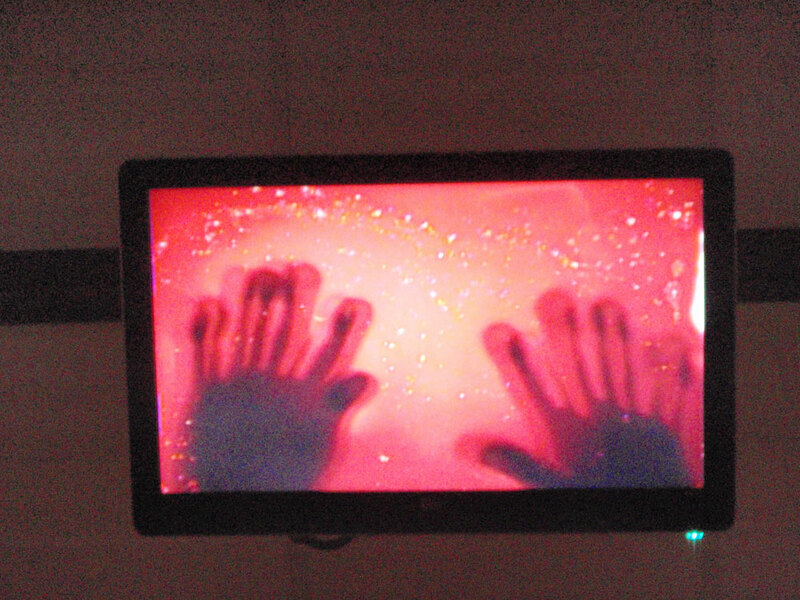 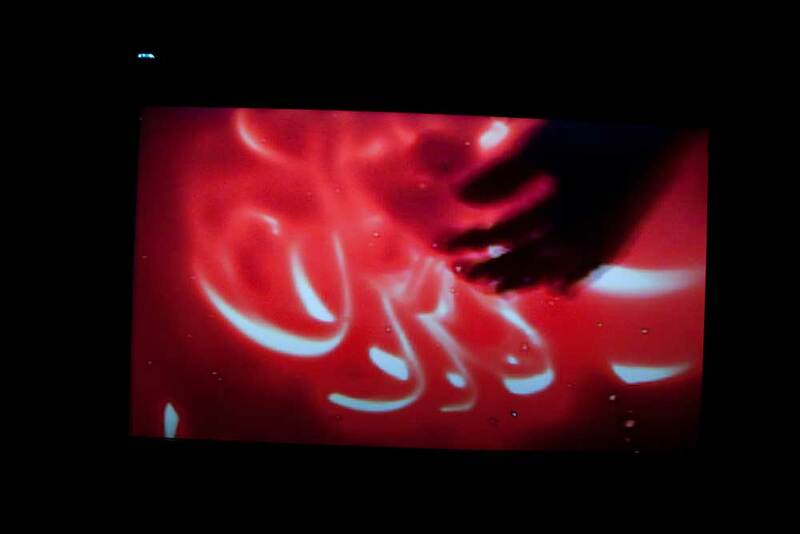 There is a contemplative feeling to the video, it appears that the hands are washing away the blood (their sins? 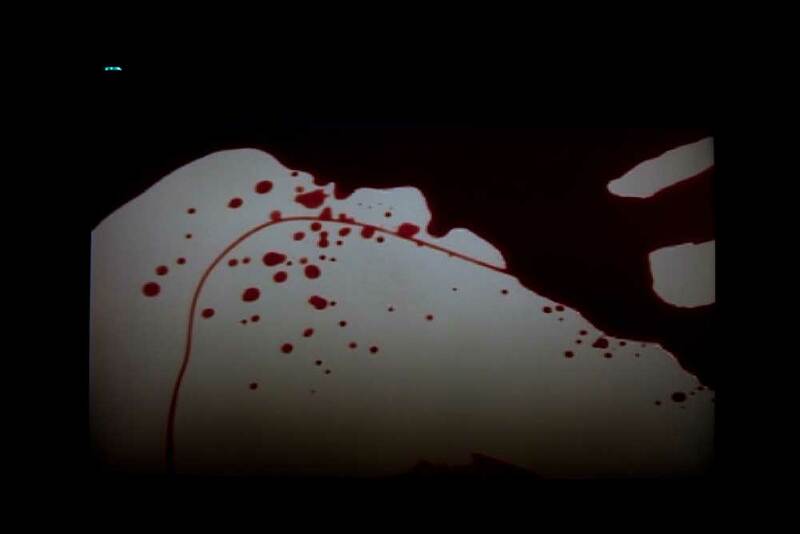 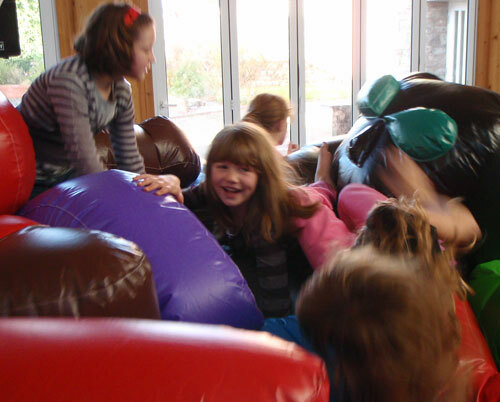 ), yet the blood keeps on returning.